The first thing I do after secretly leaving Analion Tower—which is in about the same state it was in the other reality—is return to the bus station and retrieve the money that The Repairman procured for me. The one benefit of living in that corrupted reality Yatchiko created was that I was a whole person, with an identity, and resources. I even had a girlfriend with immense time powers whose help I could use right now, but I have no idea how to contact her. Her phone number no longer works, which I discovered after borrowing a phone from a kind stranger. I still have my phone with me, but it only works with public WiFi, because my original wireless carrier has never heard of me. The only thing I was able to keep with me from the corrupted reality was my face. Melantha—or Meliora, as it were—used to give me deaging therapy, which somehow transferred over to the true reality. After resting for a night in a seedy motel, I walk to a seedy car dealership, where they don’t ask many questions, and buy a crappy car. I drive the crappy car to the crappy part of the city where people do whatever they can just to get by. I’ve retained my memories of being a Kansas City police officer, and a corporate fraud investigator, in the corrupted reality. While most of that never actually happened, I still have knowledge of how this city works. When you’re a cop looking for really bad people, sometimes you have to let the not so terribly bad people keep living their lives, and doing their jobs. I never really had a problem with that since I don’t agree with every law anyway. I struck a deal with a couple who specialize in generating false identities for people. As my confidential informants, they would keep their ears to the ground for any nefarious activity. In return, I would let them keep helping people escape their old lives. Most of their clients were abused wives, and street gang members who wanted to get out of the life. They charged a lot less for their services than they could, and never helped violent criminals evade the law. All I can hope is they still exist in this reality. “You smell like a cop,” the cliché of a freelance security guard says when I try to enter the forger couple’s den. He lifts his head to alter his perception of me. “They did?” That’s impossible, I never actually worked for the KCPD, at least not as a detective. “Yes, of course. In the corrupted reality, that is,” he says. “Follow me.” He turns around and walks back into the darkness. As I’m following, his personal guard casually plucks the cash from my hand, which is fine. “You have a Mirror of Erised?” I ask, referring to an object in the Harry Potter franchise. “So you know who I am?” I ask, getting the subject back on track. Trusting him, I take the Incorruptible Astrolabe from my bag and show it to him. I sit down with him and discuss what I’ve been though. I make a few things up, but most of it is just my real past, conflated to Kansas City, instead of Springfield. He prints out two copies of each document, and keeps virtual copies in a magical network that apparently disseminates them to time and space. He’s not just giving me papers to show people as needed. He’s actually somehow rewriting history to reflect my presence in it. I ask him whether he’s met Yatchiko Ishimaru, who could do something similar, but he just says he stays away from all those people, as most salmon and choosers do. Whatever those are. The Children of Springfield, as I’ve decided to call them, are a special class of temporal manipulators that no one wants to talk about, according to the Forger. He collates all the documents, handing one set to me in a manilla folder, and placing the other in a large envelope. He then steps over to a mailbox, opens it once before closing it, then lifts the red signal flag. He stands there for a few moments, playing with his phone, while I review my new information. There’s a knock on the bathroom door, through which a twentysomething guy walks when the Forger announces that it’s open. He’s wearing traditional courier garb, complete with shorts, and a flimsy hat. I can see burn scars peaking out on the side of his face. “Detective!” he cries upon seeing me. “Do I know you?” I ask. He does look familiar, but I can’t quite recall. “You remember Springfield?” I ask, surprised. “You’re a time traveler,” I guess. That must be why he remembers a city that no longer exists. That’s it. I used to go around finding ways of moving people out of the houses that were about to be swallowed up by the ravages of broken time. I do remember him now. “Ennis Patton. You were the one...” I trail off, not wanting to be insensitive. “I have a file?” I ask. “Everybody has a file,” Ennis explains. He takes my identity package from the Forger and stuffs them into his delivery bag. “Thanks,” Ennis says. “I’ll consider it. Right now, though, I have deliveries to make. It was nice seeing you again, Detective Bran.” He tips his hat and turns to leave back through the bathroom door. “You as well,” I say before he vanishes. “Will do,” he says quietly. 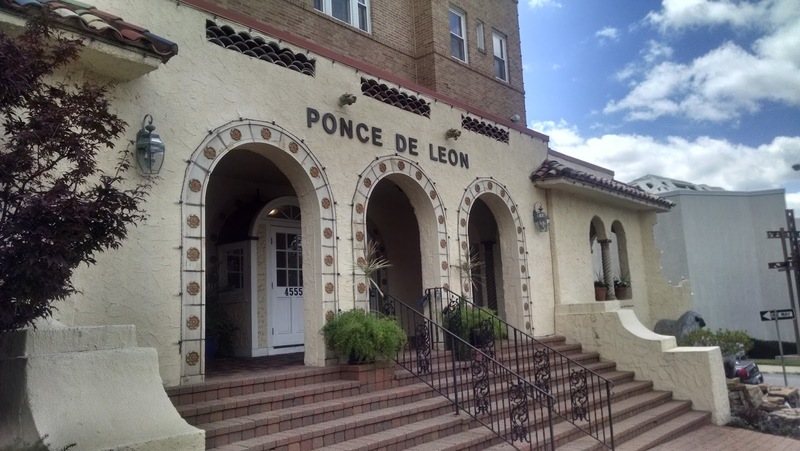 I exit to use my identity to buy a really nice condo at the Ponce de Leon through my new bank accounts. There’s no reason I can’t be comfortable while I’m looking for where Hokusai ran off to.